These are the braces that pop into most of our heads the first time we here "braces". They're the most common type and have gotten so much more comfortable over the years. High-grade, stainless steel. 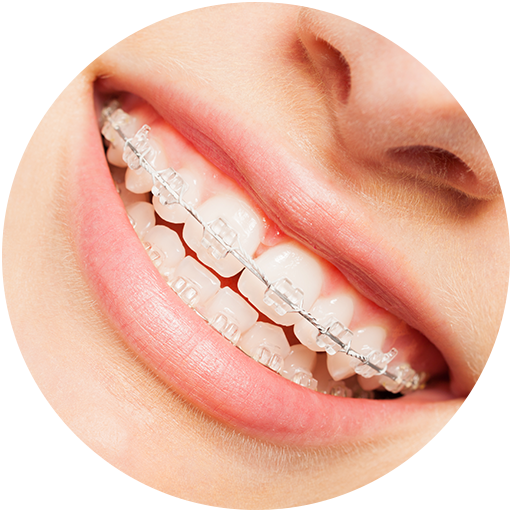 These braces utilize archwires and metal brackets to straighten your smile. Interested in a little more customization? Add colored elastics to put a unique spin on your smile. 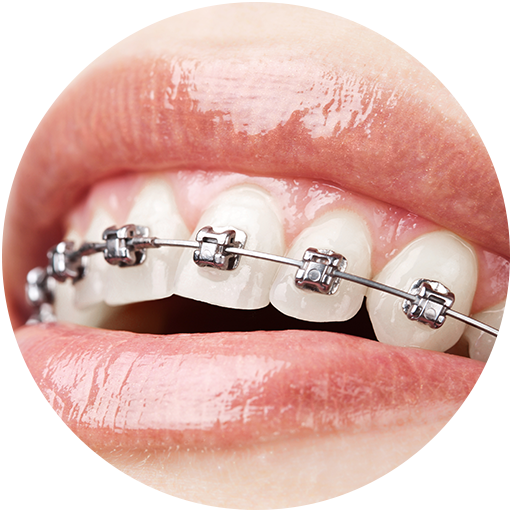 Imagine a set of traditional braces, but without the need for elastics. Thanks to a specialized clip that helps guide the archwire, you can enjoy straighter teeth with fewer appointments and fewer adjustments. 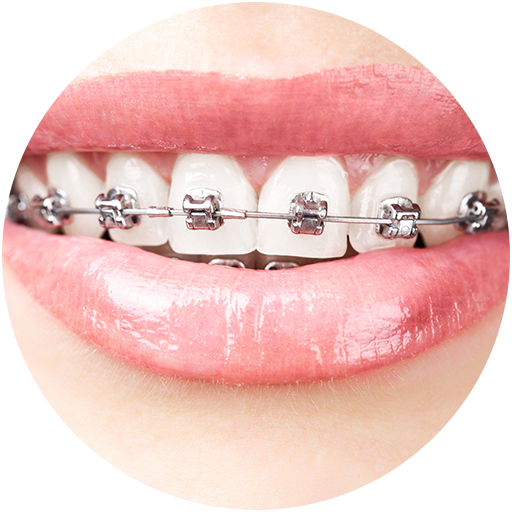 Available in traditional metal, clear, or ceramic brackets. 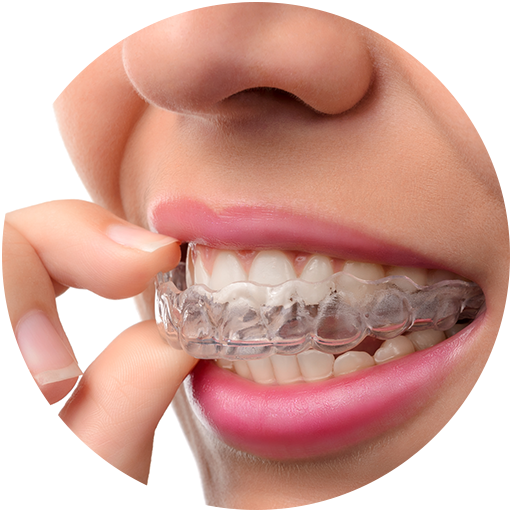 Made from clear ceramic material, these braces are much less visible on your teeth when you smile. Great option for adults and older teenagers. Due to their clear nature, they are a little larger and slightly more susceptible to damage. But, with proper care they are a great option for discretely straightening your smile. Clear, removable, comfortable. It's amazing what can be done with clear aligners. 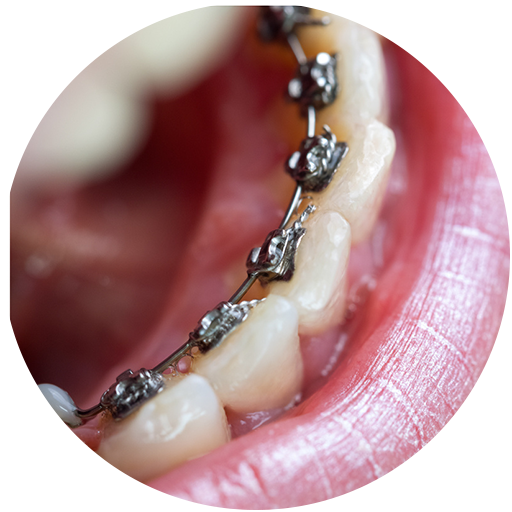 Through a carefully designer series of aligners, we can straighten your teeth like braces. No worries about adjusting to new ways of brushing or flossing with this removable solution. Extremely comfortable. Highly customized lingual braces are hidden behind your teeth so they appear invisible when you smile! Very popular option for performers, musicians, athletes, and professionals.